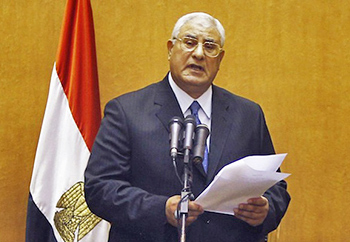 Adly Mansour, Chief Justice of the Egyptian Constitutional Court and declared new interim President by Egypt's Armed Forces, dissolved the Shura Council with a Constitutional Declaration on 6 July 2013 and established a new framework for the transitional period, including a basic constitutional structure, with a Constitutional Declaration on 8 July 2013. After a 16 months of deliberations, the Tunisian National Constituent Assembly (NCA) announced on June 1 that the drafting of the constitution had been completed. The process of adopting the final document, however, requires further steps, including merging the draft with reports from constitutional committees and comments from the president and prime minister to be discussed in a subsequent plenary session of the NCA. Right to Nonviolence Middle East North Africa (MENA) Constitutional Advocate, Farea al-Muslimi, testifies on "Drone Wars: The Constitutional and Counterterrorism Implications of Targeted Killing" in front of U.S. Judiciary Committee Subcommittee on the Constitution, Civil Rights and Human Rights on 23 April 2013. Following the adoption of the final draft of the new constitution for Egypt by the Constitutional Assembly on 29 November 2012, the document was tested via referendum. 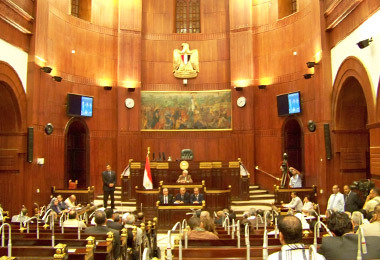 The majority of voters (63.8%) approved the text as new constitution of Egypt in two rounds on 15 and 22 December 2012. 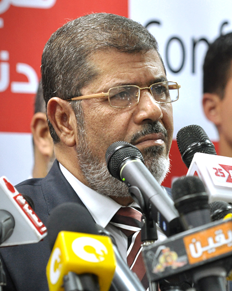 President Morsi signed the new constitution on December 26, 2012. You can find the final text here. On October 10, the first draft of the new constitution for Egypt was made public by the Constituent Assembly for debate. Members of the Assembly have said they expect to finish writing as early as November. The new constitution then will have to be put to a public referendum within 30 days. Find the text in Arabic and comment on it here. 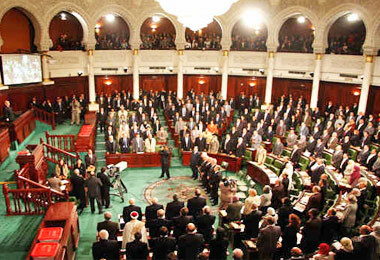 On August 8, the first full draft of the new constitution for Tunisia was made public. Discuss it in our Constitutional e-Forum. Find the text of the draft in Arabic, English and French here. On August 12, Egyptian President Morsi issued a "Constitutional Declaration" essentially nullifying SCAF's amendment of June 18, 2012, and providing himself with full executive and legislative powers. According to the text, the President is also able to institute a new Constituent Assembly in case it "is prevented from doing its duties". The legality of the document is disputed. On August 1, the Somali Constituent Assembly adopted a Provisional Constitution following the roadmap to end the transitional period. The document still contains "earmarks" that will be discussed by the future Parliament before the national referendum will determine the fate of the constitution. 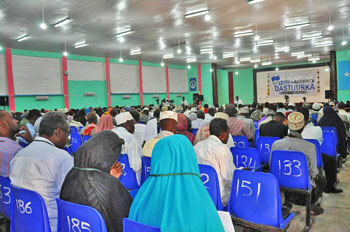 After more than eight years in the making, 825 Somali leaders approved the document with 621 for, 13 against and 11 abstentions. Outgoing Amnesty MENA Director Ahmed Karaoud joins Right to Nonviolence (RN) Regional Leadership Network as expert correspondent for Tunisia. Within the framework of supporting RN's mission, he will provide constitutional information and analysis on the developments in the country and will thereby further increase MECF's capabilities. In this interview he already shares his expert view on essential reforms. On the occasion of an expected administrative court decision on the Constituent Assembly on July 17, Professor Chibli Mallat, Right to Nonviolence Chairman, and Tobias Peyerl, Director of the Middle East Constitutional Forum, discuss the current legal disputes in Egypt and the prospects of the Constituent Assembly. Find out more about recent developments in Egypt here. Egyptian President Morsi issued Decree 11/2012 and thereby strives to reinstate Parliament on July 8. The Supreme Constitutional Court (SCC) had previously declared the Parliament to be unconstitutional on June 14 and SCAF dissolved it the following day. Ahram Online published MECF's comment to and professional translation of the decree. The SCC reaffirmed that its decisions are "final and binding." 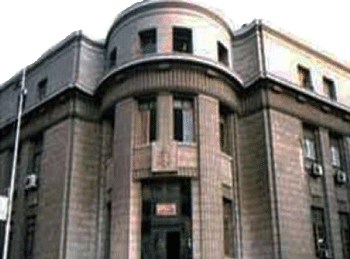 The Egyptian Supreme Administrative Court delayed four decisions on June 26. The first relates to an appeal to the dissolution of Parliament by SCAF based on a ruling of the Constitutional Court: postponed to July 7. The second concerns the legality of the membership of the Constituent Assembly: delayed to September 1; the third decision the constitutionality of the Shura Council - rescheduled to July 10 as the last judgement relating to the SCAF amendment of the 2011 Constitutional Declaration. 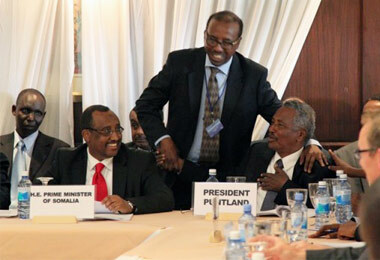 The main political stakeholders signed a joint communiqué to end the transitional period in Somalia on June 22. They also agreed on the steps towards a new constitution, which will be handled by the new National Constituent Assembly that is mandated to conclude its work on July 20. Find the communiqué and other relevant documents here. Right to Nonviolence has initiated development of this platform — a comparative, historical and analytical tool — as a comprehensive constitutional resource for the broader Middle East region. Providing a useful mechanism to support the transformational processes underway — from Morocco to Pakistan and from Turkey to Somalia – the MECF is envisioned as an interactive and collaborative space to enhance constitutionalism through shared knowledge and better understanding of past and current practices. While this may be an unprecedented collection of constitutional information and analysis on the Middle East, the dataset is incomplete. This nonprofit initiative – developed fully in-house by RN fellows and staff – needs your input. By submitting links to constitutional texts in various languages, by contributing timely information on constitutional discussions under way in various countries, by taking part in the forum, by providing information and analysis on current drafting documents, you will help the constitutional moment of the Middle East bloom into institutionalized nonviolence. Follow this link to find out how to participate in this cutting-edge project.